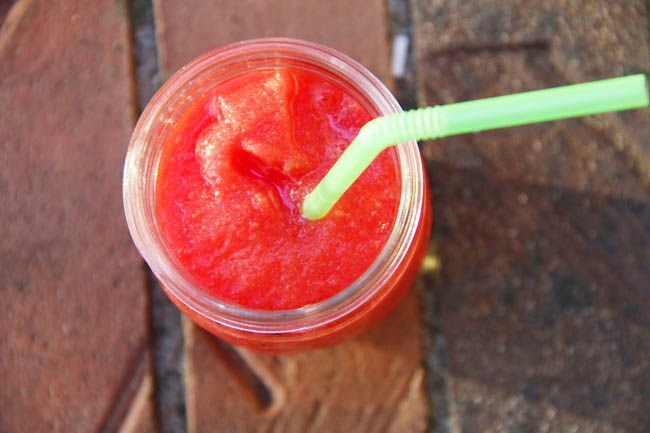 In the summertime we all love slushes. Whether we get them at a convenience store or make them at home, they're always a perfect treat. Cut a watermelon into chunks and freeze in a single layer on a lined cookie sheet. Once they're frozen, you can put them into a tub or zip top bag. You can pull them out whenever you want and add them to slushes, smoothies, or even just snack on the frozen pieces! 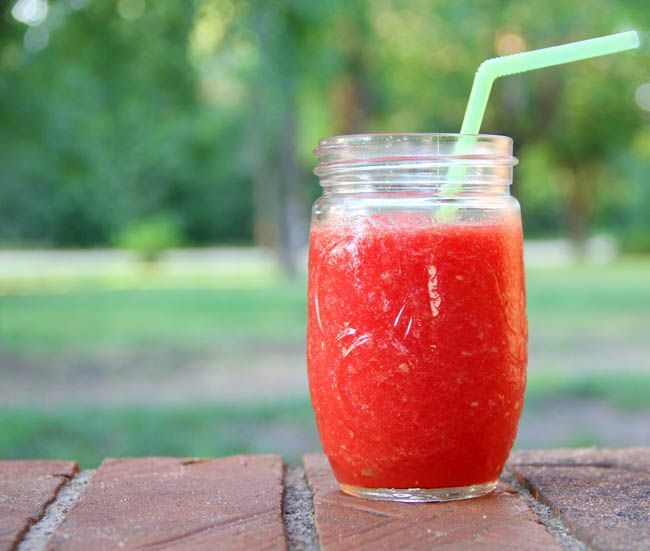 For this Grown Up Slush, add about 1 to 1 1/2 cups frozen watermelon chunks to a blender. It's so yummy and refreshing! I wonder who the first person EVER was to use the word "slushie." I bet they giggled. Sounds delish on these HOT days we have been having!